Such a restaurant poster with mouthwatering food images may make customer feel hungry at the sight of it. It not only displays the information of the specialties, but also can stimulate the buying appetites. 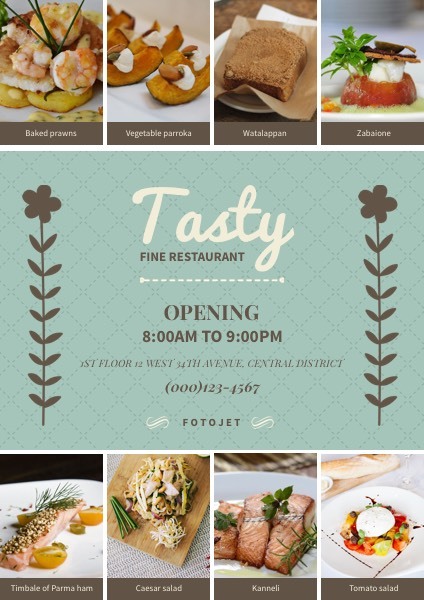 This poster template can be freely edited so that you can fill it with your own restaurant information to make a customized poster.